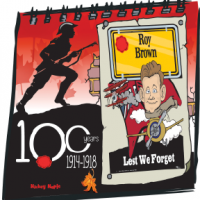 Roy Brown was born on 23 December 1893 in Carleton Place, Ontario. Following his high school education he studied at business school in order to take his place running the family businesses, a flour mill and power company. Brown enlisted in 1915 as an Officer Cadet at the Army Officers’ Training Corps. Even at this early stage Brown was fascinated by the aerial war; it was a more attractive draw than trench warfare. In February 1916, Tom Longboat put aside his racing career to serve during the First World War. And what a racing career! Tom Longboat was born at Ohsweken, on the Six Nations Reserve near Brantford, Ontario, on July 4, 1887. His Onondaga Indian name was Cogwagee. When he began to race competitively, he developed the ability to save enough energy to sprint just before the finish line. This became the amazing feature of his racing style. There were almost 4,000 aboriginals fighting in World War I. One of those men was Frances “Peggy” Peghmagabow, born near Parry Sound, Ontario. He was the mostly highly decorated Canadian aboriginal and highest-scoring sniper with 378 confirmed kills. In August 1914, he enlisted with the 23rd Regiment, the Northern Pioneers, and became a member of the 1st Canadian Infantry Battalion, part of the 1st Canadian Division. He was nicknamed Peggy by the other members of his battalion. The Crucified Canadian Soldier, a true story of the atrocities of the First World War or just war propaganda? It began in July, 1915, with a note written by a British nurse, Ursula Violet Chaloner, detailing the comments made to her by Lance Corporal C.M. Brown about a Canadian solder, a Sergeant Harry Band, who was crucified on the door of a barn with bayonets at the battle of Ypres. 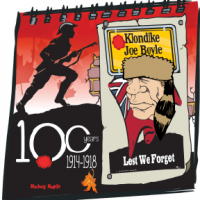 Klondike Joe Boyle was a true hero and the stuff that Hollywood epics are made of. Boyle grew up in Woodstock Ontario, but the travel bug took him many places before the Klondike. He was merchant seaman, businessman and fight promoter before the gold rush lured him north in 1897. Boyle was successful in securing the rights to mining a large tract of land in the Klondike River valley. 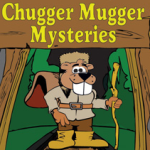 He eventually wrestled control of the Canadian Klondike Mining Company from the powerful Rothschild family.